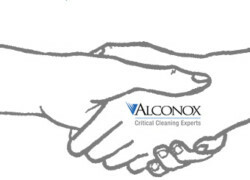 Alconox Inc., critical cleaning experts for over 70 years is looking to hire a Staff Chemist / Technical Support Specialist. The ideal candidate will have a strong chemistry background and laboratory skill set. Formulation science strongly preferred. Detergent formulation a major plus. This role will evolve into involvement with formulation of existing and future product formulations, as well as performing laboratory activities for internal and external needs. The hire should be comfortable interacting with external customers to assist Marketing and Commercial Development objectives. This will include involvement with tradeshows, conferences, and email/phone/site technical support. A passion to join and represent an internationally recognized resource for critical cleaning needs and expertise! Alconox Inc. is located steps away from the Metro North in White Plains, NY, allowing for a dream commute from many locations throughout NYC and Westchester areas.